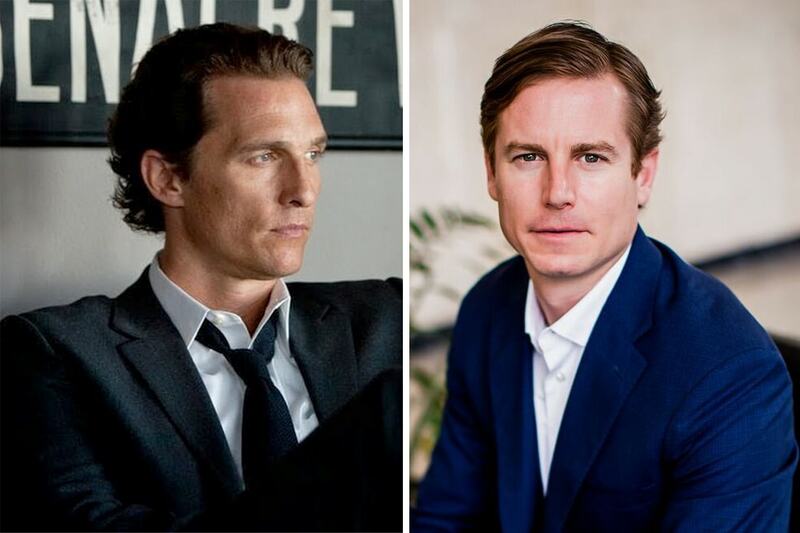 Hamilton Wingo - "You can tell the Matthew McConaughey wannabe that that's not the case." After losing in a Texas courtroom last month, Michael DiSabato and his mixed martial arts merchandising company from Columbus are being chased for a $4.5 million verdict. DiSabato, an entrepreneur who used to run the college sports merchandising business, Silver Knight Sales and Marketing Ltd., was found responsible in March for fraud and breach of contract against a former business partner by a federal court jury in Dallas. DiSabato’s new company, MMA Authentics, LLC., is now facing the repercussions of that jury decision. Globex International Inc., the Imperial, Mo.-based company that won the court room fight against DiSabato and Silver Knight, filed a lawsuit March 17 that accuses DiSabato of transferring assets from Silver Knight to MMA Authentics. The lawsuit goes on to claim that MMA should also contribute to the $4.5 million verdict because of the alleged transfer. “This was essentially a transfer of the business,” said Christopher Hamilton, a partner in the Dallas law firm Standly and Hamilton LLP. DiSabato is vice president of MMA Authentics, which sells merchandise affiliated with athletes who perform in the Ultimate Fighting Championship fights. Prior to working at MMA, DiSabato founded Silver Knight, which sold collegiate-related merchandise and at once held the rights to sell Ohio State University football jerseys and other goods. DiSabato, a former OSU wrestler, put Silver Knight into receivership March 20, telling Columbus Business First in April that its demise was primarily caused by the loss of an Ohio State contract, which his company is disputing in the Ohio Court of Claims. At its peak, Silver Knight employed 12 workers and brought in more than $5 million in annual revenue from licensing deals with 65 schools, DiSabato said. But Disabato could never have made Silver Knight the company it was without the help of Globex, Hamilton said. “He had no products, no licenses and no money,” the lawyer said. When asked why Globex would do business with DiSabato, Hamilton said Disabato had experience selling collegiate licensed products. “There’s no doubt he was a fantastic sales man,” he said. Globex sued Silver Knight in U.S. District Court in Dallas in 2005. It alleged DiSabato agreed to obtain national license agreements in Globex’s name, but instead used Globex financial backing to get license agreements in Silver Knight’s name. The jury agreed, and on March 10 found in favor of Globex on all counts. DiSabata says the jury was taken in. “Here we have a 72-year-old man worth millions of dollars who claims I formed a partnership with him the first time I met him over a 20-minute conversation,” he said. Globex sustained damages of $1.5 million, the jury verdict said. The jury also found Silver Knight should pay exemplary damages of $1 million while Disabato should pay exemplary damages of $2 million. Before the case against Silver Knight went to trial, Hamilton alleged Globex attorneys presented Disabato with “an extensive amount of evidence … of fraud” during a March 2007 deposition. He said that spurred DiSabato to start MMA a month later with assets partially owned by Globex. Globex filed a second lawsuit against MMA on March 17, alleging Silver Knight and MMA share the same address, office and phone numbers with DiSabato’s wife, Patricia, as president of MMA, but in name only. It asks the court to force MMA to pay the $4.5 million judgment against Silver Knight. “We’re not going to allow defendant DiSabato to escape the jury’s verdict by playing a shell game,” Hamilton said. DiSabato said he intends to fight the lawsuit.